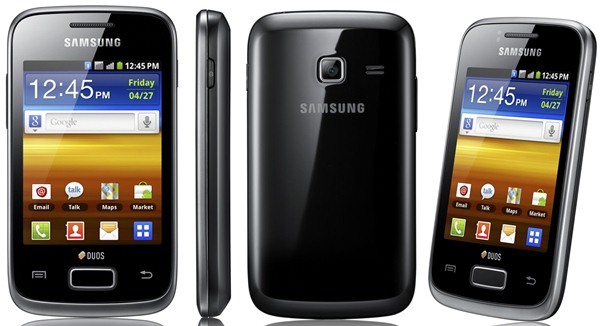 Launched by Samsung Mobile, the Galaxy Y Duos S6102 is also known as the GT-S6102B. It entered the market in February 2012 being a basic, affordable smartphone that works well in most situations. The Android phone is good in dealing with viruses, but in case you’ve been experiencing errors and lags, it might be time to perform a hard reset on the Samsung Galaxy Y Duos S6102. The same as it happens in the case of a computer or laptop that fails to work properly, doing a hard restore means that you will reinstall the original version of the operating system. This also involves erasing all of the files, so that your device will look as brand new. The operation is not only recommended when dealing with software issues, but also whenever you lost your password or would like to resell the Y Duos S6102. Measuring 4.32 x 2.36 x 0.47 inches with a display of 3.14 inches, the device is equipped with touchscreen and uses version 2.3 of Android. Its internal memory is only 160 MB, but it comes with a microSD with 2 included GB – this one can usually store a maximum of 32 GB. You can take advantage of a 3.15 MP camera on the phone while the Li-Ion 1300 mAh battery can be easily removed and reinserted. Only coming in black, the device has a fairly standard look that you might have noticed with similar phones from Samsung. This one is equipped with an 832 MHz processor, Java being used for playing games and using most apps. You will be able to connect to the internet via the Wi-Fi hotspot and download anything you wish from Google Play, all depending on your data plan. In order to solve some of the most typical issues with Samsung phones, such as failing apps, unresponsive keys, lack of connection to the internet, fatal errors and lags, you should follow the instructions in this section. Before you think about performing a factory reset, you should consider doing a soft restore that will resuscitate your smartphone in just a minute. Redo the steps for the warm reset and leave the phone off. Remove all cables and press Home + Power + Volume Up. Hold all three keys for a while and wait for the menu to load. Release them when the second logo pops up and read the menu. Scroll down using Volume Down and choose Wipe Data. Confirm with Power, and then select Yes using the same keys. Tap Reboot System Now to confirm, and you’re done. The procedure itself doesn’t take more than 3-5 minutes, and you can watch the video above for additional details. This one will show you exactly what the display is supposed to look like and what status you should be able to see while the device is rebooting. Please make sure that you have a backup ready before you initiate the master reset. The operation will wipe the memory off, so you will lose all data. Copy the relevant files and apps onto a different device, so that you can restore them later on, but keep in mind that you’ll need to reinstall all games and applications once again.